Authors are like musicians in one important way. Some bands emerge on the scene fully formed, delivering a debut that appears to encapsulate everything great they would eventually accomplish. Think Unknown Pleasures by Joy Division or Oasis’ Definitely Maybe or Entertainment! by Gang of Four. These albums land with a seismic impact that heralds the arrival of An Important Voice,™ one that the rest of us mortals should do well to notice. Other bands? Their first albums resemble the toddler taking his first wobbly steps. The potential for great things is clearly there, but the talent still needs some time to incubate. The best contemporary example of this is probably Radiohead’s 1993 debut, Pablo Honey. There was nothing on that album – not even the juggernaut of “Creep” – to indicate that within four years they’d transform into one of the most influential bands of all time. Some authors follow similar trajectories, either delivering a powerhouse of a debut or stumbling about for a book or two before hitting their stride. As a huge fan of author Jonathan Maberry, it’s obvious from Dead Man’s Song that early in his career he was more Radiohead than Gang of Four: lots of promise but still lacking in execution. I first discovered him through 2009’s Patient Zero, the first of his books to feature Joe Ledger, the leader of a secret government agency devoted to tackling paranormal threats. This series remains hugely satisfying – action-packed, dark in tone, and featuring some deliciously hard-boiled dialogue from Ledger and his team. I recently backtracked to the beginning of Maberry’s fiction career (he started as a writer of non-fiction books about martial arts) and picked up Ghost Road Blues, the first novel in the Pine Deep Trilogy. It was, as I wrote a couple months ago in my lazy one-sentence review, “the sound of one of my favorite horror writers still finding his voice.” That book held great promise, detailing an epic supernatural struggle in the haunted town of Pine Deep, PA (more on that in a second), but also featuring some clunky description and plotting, as well as, most surprisingly, some unforgivably cheeseball dialogue. If there’s one thing the Great Bookshelf Deprivation Project ensures, it’s that I’ll continue reading series that might not initially grab me. Also, Maberry has engendered enough goodwill from the Ledger series for me to give Pine Deep another shot. Sadly, Dead Man’s Song, the second book in the trilogy, only adds to the impression that Maberry still hadn’t figured out who he was as a writer. 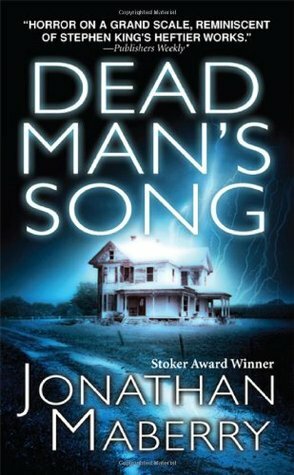 Dead Man’s Song picks up almost immediately after the closing pages of Ghost Road Blues, and maybe the most frustrating thing about the book is how little progress is made in it. The bad guys kill some people, the good guys worry about who the bad guys will kill next, we learn some more about why the bad guys are killing people – it involves vampires and werewolves – but in terms of momentum the book is largely an exercise in stasis. 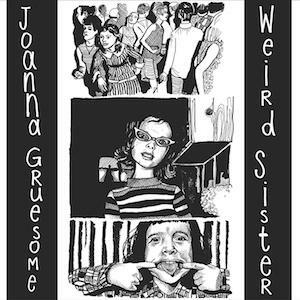 Which is weird because, I mean, stuff happens. Life and death, fate of the free world hanging in the balance stuff. But at the end of 500 pages everyone is pretty much at the exact same place they were at the beginning. And that’s sort of weird when I consider how Maberry’s Joe Ledger series is a careening beast, with a race against the clock almost always the default setting. ‘Sounds like a plan.’ Crow cleared his throat again. Terry threw a small pillow at him; Crow ducked. After a while, once her skin has soaked up the richness of the water, Crow slipped one hand into a terrycloth mitten. Wetting it, he fetched a bar of scented wheat-and-lavender soap and worked up a good lather; then he helped her to stand up in the tub. Water sluiced down the lovely length of her, and pausing once in a while to kiss her glistening hide, he used the luxurious soap and the gentle roughness of the mitten to wash every inch of her glorious skin. He was diligent in his thoroughness, and then with a large bath ladle he poured water over her to rinse away the soap. He drained most of the water from the tub as he did so and quickly refilled it so that when he helped her down again, she lay in fresh water and that sloshed around her. Maybe I’m handicapped by knowing how good Maberry would get in a couple more years, but I’m really conflicted by this series. It’s not unreadable, but if I had encountered the Pine Deep trilogy first, it’s doubtful I would’ve stuck around for Joe Ledger. One book to go. Here’s hoping Maberry brings it home in a way that redeems the first two episodes. Enter your email address to follow this blog and receive notifications of my latest thrill-a-minute posts via your electronic mail device.